The Super Nintendo is certainly a contender for the world’s most beloved console. The 16-bit juggernaut has a library brimming with first and third party classics that are known for their tight gameplay and pretty pixels. 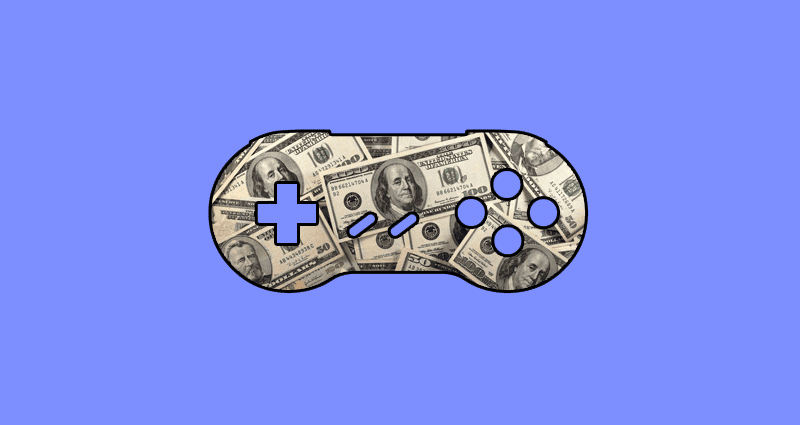 Unsurprisingly, some of those games are worth some serious cash. With over 700 titles in the SNES catalog, players have had plenty to choose from since the console’s launch in the early ‘90s. Due to the system’s success many games that were popular during its heyday are now highly sought after. But surprisingly those aren’t the type of games that are considered the most valuable. Most titles in the SNES top ten are those who had a limited print run, work with a special peripheral, or were exclusive to stores and events. They are the rarest of the rare, and therefore fetch a pretty penny when sold. It should be noted that all the estimated values featured below have been taken from the price aggregator site PriceCharting.com, and represent the average spent in online auctions for games that have already been opened (but may still be complete with box, manual, and inserts). Background: One of, if not the, rarest and most valuable video games of all time, PowerFest ‘94 is (almost) one of a kind. This unattractive circuit board houses three competition versions of Super Nintendo classics, each with their own form of scoring. The Super Mario Bros. entry (as seen above) is actually the updated version of Japan’s Super Mario Bros. 2, known stateside as The Lost Levels. Beyond platforming, players can also burn rubber in Super Mario Kart and slug as many home runs as possible in Ken Griffey Jr. Presents Major League Baseball. Since the specialized PowerFest ‘94 cartridges were only meant to be used during competition the vast majority of the devices were sent back to Nintendo or destroyed after the grand finals in San Diego. To this day only two copies are still known to exist, one of which is actually owned by PriceCharting.com’s J.J. Hendricks. How he acquired this ultra rare title is quite the interesting tale. Background: Similar to its younger brother in both looks and rarity, Nintendo Campus Challenge’92 was the first official competition cartridge for the Super Nintendo. The focus for this Nintendo competition was based around three SNES launch titles — Super Mario World, F-Zero, and Pilot Wings. Players who attended the Campus Challenge events attempted to collect coins, complete laps, and land on far-off targets. Unlike Super Mario World, both F-Zero and Pilot Wings had score multipliers in effect to give players a larger overall point total. Like it’s NES predecessor from 1991, Campus Challenge ‘92 has a phone jack built into its circuit board. It’s not known, but many speculate this was used for sending scores directly to Nintendo headquarter via phone lines. How advanced! Background: Long before the motion control revolution brought on by the Wii and Kinect, there weren’t many ways of staying in shape while you played video games. The Exertainment Life Cycle 9XS looked to change this by introducing a special exercise bike and controller set-up, with built in TV to boot. Though players (riders?) could play normal SNES titles or simply watch TV, two games were released specifically for the Exertainment set-up. Both Mountain Bike Rally and Speed Racer featured special racing modes that corresponded with the Life Cycle’s built-in “electronic personal trainer.” A biking game seems to make perfect sense, but peddling a race car seems a bit strange. Dedicated Nintendo collectors are always on the lookout for both the game and working Life Cycle units. Background: With pseudo-3D graphics, tight controls, and a toe-tapping soundtrack, the original Donkey Kong Country was exactly the smash hit Nintendo needed to pull the Super Nintendo ahead of the Sega Genesis. To promote the the game Nintendo decided to feature the jungle platformer in both the PowerFest ‘94 finals and the Blockbuster World Video Game Championships II. Players would collect as many bananas as possible while hopping and bopping through classic Donkey Kong stages like Jungle Hijinx and Snow Barrel Blast. Beyond the two Nintendo-sponsored events (where the game was used, but not sold), the competition cartridge was only available to the masses through a special Nintendo Power catalogue. 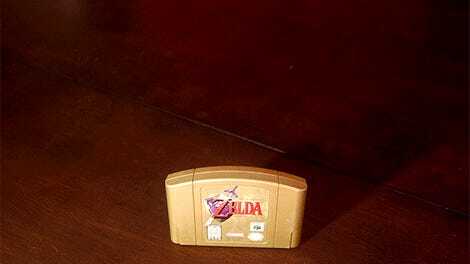 Just 2,500 copies were printed, but the amount of cartridges sold is still a mystery to this day. So the next time you see a worn copy of Donkey Kong Country in the wild, be sure to check the upper right corner for the illustrious markings of the competition edition. Background: The Super Nintendo is no stranger to large gun peripherals. The battery-consuming Super Scope was released alongside a handful of games in 1992 to little success. Though it seems someone in the military must have been sold on the concept of using the SNES hardware for target practice, as M.A.C.S. was created for the United States armed forces in 1994. Supposedly delivered in a create with all necessary practice items, the M.A.C.S. cartridge also came complete with an SNES and a range of realistic gun controllers. Seriously. Look at this bad boy. No one knows how long the game was used as a practice simulator, but it wasn’t until years later that the legendary title surfaced online. With a limited, but ultimately unknown, quantity of M.A.C.S. cartridges and guns in circulation it’s no surprise collectors have to dig deep into their wallets to add it to their collection. Background: With the release of Star Fox and its fancy new polygons powered by the Super FX chip, Nintendo was in need of a showcase for their newest franchise. What better way to attract media and fan attention then a nice friendly competition? Between Campus Challenge ‘92 and PowerFest ‘94 the Big N launched Super Star Fox Weekend. Held in malls and gaming stores across the United States and Europe, Super Star Fox Weekend gave players a chance to win Star Fox merchandise and exotic trips. Pins, shirts, and highly-prized jackets were handed out to flying aces who managed to hit certain score levels. Like the Donkey Kong Country Competition after it, Nintendo sold a limited supply of the game to Nintendo Power subscribers. For a whopping $45 (roughly $75 today with inflation) readers could own a piece of Nintendo history. Hindsight is 20/20 and many of the Nintendo Power faithful (myself included) are still kicking themselves for not jumping on the opportunity. Background: Possibly the most unremarkable game in the top ten, Aero Fighters is an arcade port featuring a large roster of playable characters and aircrafts. The title is known for being one of the best and most accurate arcade to home console ports of the Super Nintendo era, but went largely unnoticed by many players and critics. A small print run has made Aero Fighters somewhat of a hot commodity in recent times, with some complete copies selling for just over a thousand dollars. Aero Fighters 2, an exclusive for the Neo Geo, is worth roughly the same amount as the original. The last game in the series, Aero Fighters Assault for the Nintendo 64, is worth a staggering five whole dollars. Oh, how the mighty have fallen... into my prince range. Background: You don’t see many shoot’em-ups that are set in an adorable version of feudal Japan. And yet, here we are with the Pocky and Rocky series. In the original Super Nintendo title, shrine maiden Pocky is tasked with destroying a group of possessed goblins who have run amuck in her home village. A second player can assist as her tanuki pal, Rocky. Pocky and Rocky 2 has the duo teaming up once more to save the kidnapped Moon Princess from the clutches of demons. Unlike many shoot’em-ups, Pocky and Rocky 2 allows players to move freely in eight directions while they blast enemies and progress through levels at their own discretion. No bullets or swords to be found here, as Pocky throws talismans and wales on opposing baddies with a purification rod. I suppose that’s one way to exorcize a demon. Background: Hey, it’s that Guy! Not just any guy, but a guy whose name is actually... Guy. While a title like Final Fight Guy may sound decent to the people of Japan, it’s a somewhat bizarre title for any English-speaking players. Final Fight Guy was an enhanced version of the original Final Fight for the Super Nintendo, showcasing new power-ups and various difficultly levels for players to test their beat-’em-up skills. One of the original Final Fight protagonists, Cody, is not playable in this version, with only Guy and Haggar as selectable characters. The English version of the game was only playable as a rental from Blockbuster video stores, meaning collectors had to buy the game from the store after it scrapped its SNES library or went out of business. It’s unusual blazing orange box and gratuitous Japanese text make it stand out as a true oddity. Obviously there are plenty of other collectable Super Nintendo games out there, many of which may hold more emotional value than monetary worth. Which SNES titles are the crown jewels of your gaming collection?